Specialty or Temporary Leasing in a shopping mall environment is the fastest-growing segment of the retail industry today. Shopping malls provide seasonal, small or first-time retailers a prime location to sell their products or services without a large investment. More and more entrepreneurs are finding that creative, visually appealing small businesses yield not only high profits, but afford the owner flexibility and visibility. When is the best time to lease space or test a new concept or product in the mall environment? Since malls produce steady traffic year-round, anytime is a good time to test your product. Specialty Leasing opportunities are available year-round, with space leased on a first-come, first-served basis. What kinds of retailers are the malls looking for? If your product is new, original and creative, we’re looking for you. Aronov malls actively seek Specialty Leasing tenants who complement the existing permanent stores already located there. Shoppers are always looking for something unique and different, and we want our malls to provide those goods and services. How do I get started? Where would I be located? Aronov malls provide RMUs (Retail Merchandising Units) and in-line store locations that are available on a first-come, first-served basis. They are located throughout the Mall common area based on space availability. A tenant may also submit professional kiosk drawings if the mall has kiosk space available. Specialty Licenses can be written for just weekends, one-week, two-week or multiple-month terms. The maximum term for a Specialty License is for a period of one year. What kind of costs will I incur when I open my business at an Aronov mall? License Agreements are broken down into the following categories: 1) Base Rent; 2) Percentage Rent; 3) Sign Fee; 4) Visual Merchandising Fee; and 5) Marketing Fee. An Aronov Mall Specialty Leasing Representative can give you detailed information on the actual start-up costs expected for your business. All rent and charges are due and payable in full on the first day of the month. What are the required hours of operation for a temporary tenant? 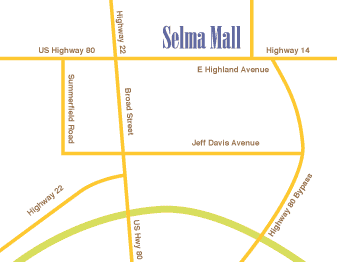 Temporary tenants are required to be open during normal mall hours. Do you have any additional questions? Click here.